We are a non-profit organization dedicated to the recognition, investigation, and preservation of Ontario's rich archaeological resources. Join us for our 2013 Annual General Meeting! 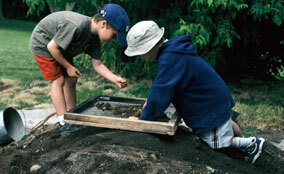 The Centre was established in 1986 by the Cataraqui Archaeological Research Foundation with the purpose of providing the community with a facility from which activities relating to the education, research, conservation, and management of the area's archaeological resources could be coordinated. 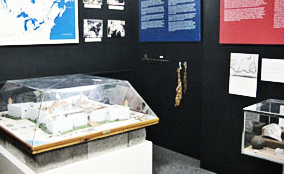 The Kingston Archaeological Centre is located at 611 Princess St. in Kingston, Ontario, Canada. Our hours are 9:30 am to 4:00 pm Monday to Friday. The mandate of the Cataraqui Archaeological Research Foundation focuses on education and research, and we have a strong commitment to providing educational programs for all ages and skill levels. Through such activities as presentations to historical and other interested organizations, half and full day programs for students visiting from local schools, and our week-long summer program, “Can You Dig It?”© we take very seriously our responsibility to raise the level of archaeological awareness in Eastern Ontario.